What is the job of the street police? Isn’t it meant to be the community? If they are only protecting certain citizen’s rights and massively neglecting others, how can we let it continue? It is a big issue, of course, but when things like this happen, questions must be asked. Films like this need to be seen. We should learn from our mistakes and not repeat them. Art is a way of showing us our shortcomings and through the experience of it, hopefully we grow and learn. This is why art is so important, nay imperative. It is a reflection, a mirror in which we can truly see ourselves. Michael B Jordan plays Oscar Grant, a 22 year old man who is trying to walk his path straight for his girlfriend and daughter, who he loves very much. Wrong place, wrong time and tragedy can occur. It is understandable that, for the most part, the viewing public avoid films like this. After all, it is not mindless, there are no transforming hunks of metal destroying things, no crass comedy or superheroes saving planet earth to fill your brain with hot air. It takes courage and strength to watch films like these. One makes a choice, to educate and inform oneself as well as being told a great story or blindly go where everyone’s gone before. Ryan Coogler writes and directs his first feature with confidence and it is produced by Forest Whitaker. All involved clearly have a reverence for this true story, wanting to do it justice and succeeding. Jordan is a star in the making, having breathed life into a complex, conflicted character in Wallace in season 1 of The Wire to playing one of three high school friends who make a discovery that gives them superpowers in the brilliantly inventive Chronicle. With Fruitvale Station he has made his mark and we will definitely be seeing a lot more of this talented young man. The film carries an undercurrent of fore-boding danger. We know what is going to happen, but as you get to know Oscar throughout this fateful day, you spend time with a young man, flawed, human but deeply caring. It is with joy that we get to see this man living his life, whether it is spending time with his girlfriend and daughter, a family birthday or just kicking it with his friends. The supporting cast bring their real to the table adding to the feeling that you could be watching a documentary, which makes the journey all the more devastating. Melonie Diaz is layered and believable as Oscar’s girlfriend/baby mother and even Octavia Spencer was ok, which was a surprise. Not an easy watch but an important one. Art has the ability to change minds and that is no easy thing. Movies like this one are often hard to watch, but that’s what makes them so important. 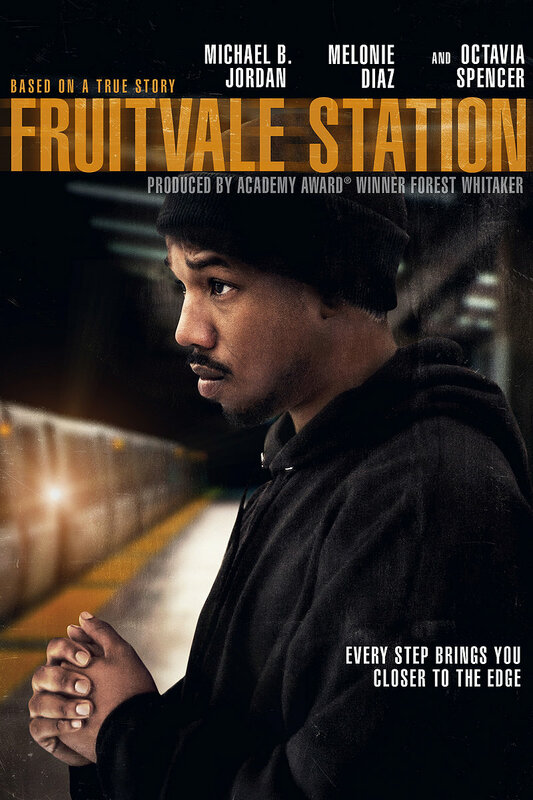 Thank you for introducing me to Fruitvale Station – it’s definitely going on my ‘To Watch’ list. I’ve really enjoyed reading you reviews, and I love that you explore movies beyond the mainstream. At Filmdoo we’re always looking for new writers to help us explore the best of indie movies and international cinema, and we’d love you to join our team of contributors. If you’re interested, head over to http://filmdooblog.wordpress.com/write/ or send us a message at http://www.facebook.com/filmdoo. Hope to hear from you! Thanks Filmdoo. Really appreciate your support. I’ll definitely check it out and I’ll be in touch.